DC Comics and Nickelodeon’s “BATMAN VS. TEENAGE MUTANT NINJA TURTLES” Official Trailer for the coming animated feature is here! Starring the voice talents of Darren Criss, Tara Strong and more! Batman, Batgirl and Robin forge an alliance with The Teenage Mutant Ninja Turtles to fight against the Turtles’ sworn enemy, The Shredder, who has apparently teamed up with Ra’s Al Ghul and The League Of Assassins. 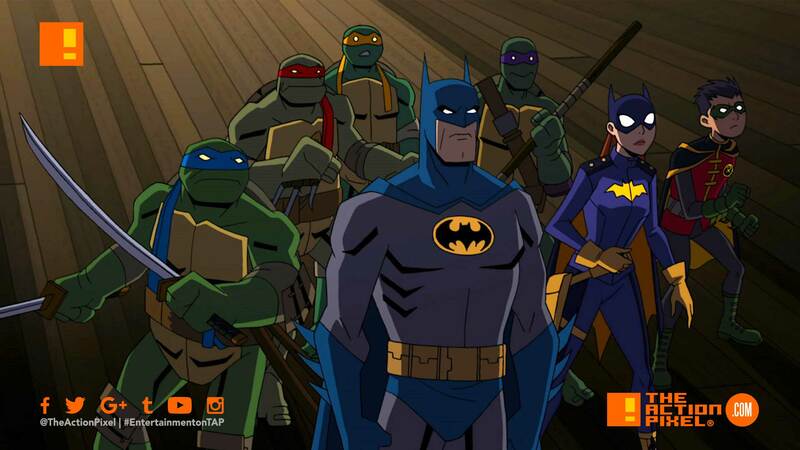 Batman Vs. Teenage Mutant Ninja Turtles is slated for release on digital and Blu-Ray.